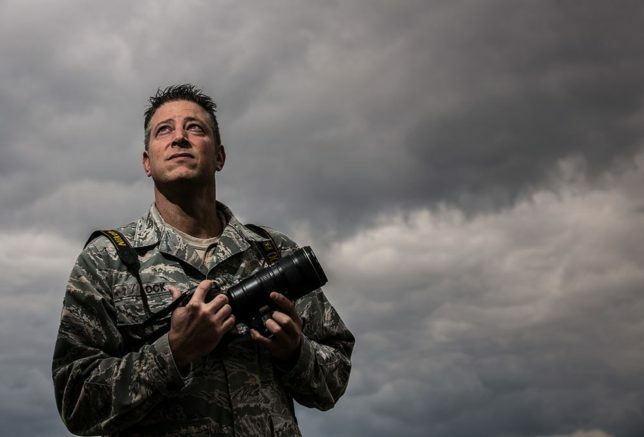 Join DCP and Texas Photographic Society on April 24 at 7pm as we present seven-time military photojournalist of the year Jeremy Lock. For 21 years, Jeremy has been directing his lens toward the elements of the world that many of us will never have the opportunity or even the desire to see firsthand. His images are beautiful, heartbreaking, provocative and devastating – sometimes all in the same frame. From capturing the hunt for Osama Bin Laden to the playful nature of our young military to the plight of humans in search for food after the Haiti earthquake disaster, he has brought humanity to his images of conflict and humanitarian relief. Tickets are $10 and can be purchased through the DCP website before the lecture. If the event is not sold out, tickets will be available at the door for $15, cash only. Dallas Center for Photography is located near I35 and Inwood, about 3 miles north of downtown Dallas, Texas. You can see a Google map here.